You may remember my having met German university student, Isabell Pfeufer, in late 2009. 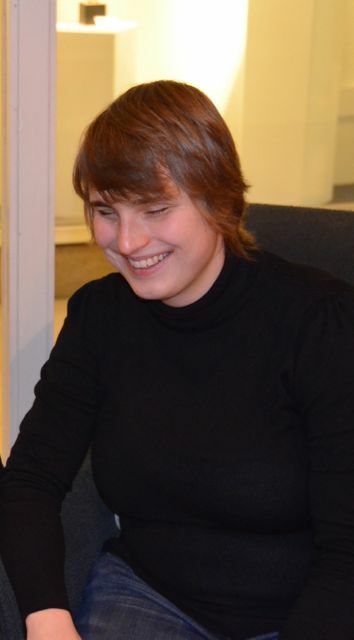 Introduced to her by a former colleague, I was invited to write a newspaper piece on Isabell’s experiences – as a blind student teacher – with a classroom of third-graders. In the years following that interview, I’ve been delighted to have several chance meetings with Isabell on Heidelberg’s bustling Hauptstrasse, as she went about her errands and met up with friends. Shortly before leaving Heidelberg for our Asian sabbatical, Shawn and I met with Isabell at a Heidelberg coffee house so that we could catch up. During our chat, Isabell talked about her dream to move to the United States to work with children or youth with special needs. Isabell is anticipating taking her final exams in October of 2012, so she still has a bit of time to find a position in an American city with a good public transportation system that will allow her to be independent.